Travel straight to this cloud of pure love, to the rhythm of unique vibes. Little Pepe is a great musician and a total symbol of the Rastafari culture in Spain and beyond it borders. 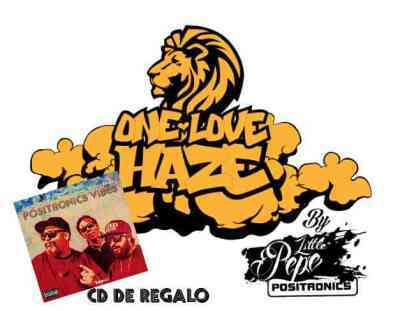 He combines his talent with Positronics’ sponsored genome of this new Haze, One Love Haze by Little Pepe. A plant that is wholly love from germination. It was elected from dozens of varieties due to its Haze potential, whilst having a sweet aroma at the same time. It also makes you dream of days with sun and sea to the rhythm of its own music. All condensed into a pack of 6 seeds and the Positronics Vibes Vol. 1 CD, a gift of 6 positronic songs with music by Niggaswing and lyrics by Gordo Master and Little Pepe, inspired by their own varieties. One of the best music CDs and marijuana to enjoy while you grow and smoke, travel "straight to the clouds". The forgotten Haze#19 was selected for this job, which implies progress in relation to maturity, harvest time and unbeatable production. These can be frequent handicaps in Sativa varieties. A great vigour from early stages, defining its structure with medium-high internodal distance and moderately thick stems. With a very high Sativa based genome, perfect leaves form in Sativa morphology in an imposing dark green colour, as well as being quick to show its first floral buds. Depending on the final height reached, stakes may be positioned in order to avoid falling or unwanted leaning. It has a high sensitivity to fungus. To strengthen the flavour, we recommend cultivation in organic substrates with ecological fertilisers. 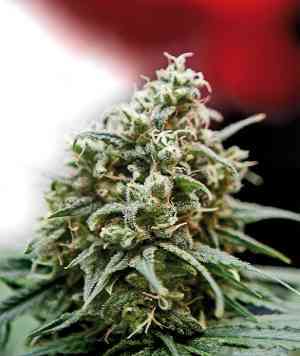 Aroma: Its exotic and intoxicating perfume shows us its peculiarity and has a great level of acceptance among the lovers of Old School Haze. Flavour: Strong explosion of nuances, appreciable upon the first puff, mostly showing the fusion of aromatic plants (thyme, basil) with incenses of cedar and hints of mahogany. Effect: A true party, for non-stop dancing, jumping and relishing.